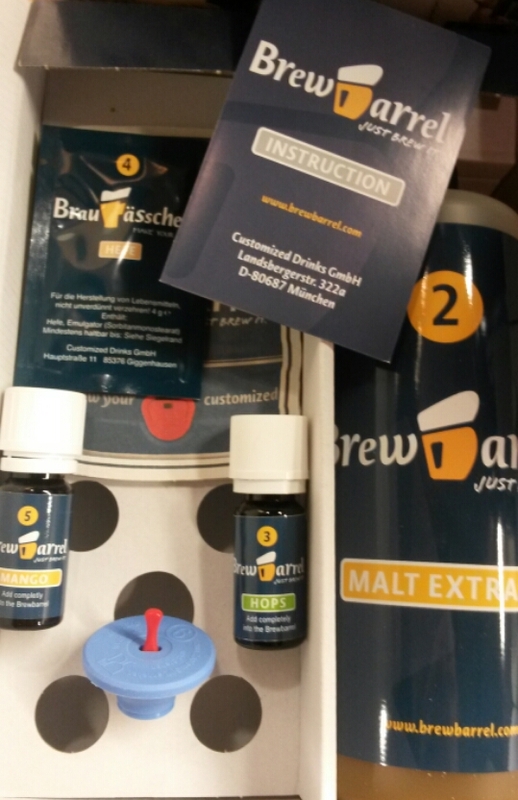 I was contacted by the guys over at Brewbarrel – a German startup which has just launched its business in the United Kingdom – and I accepted their offer of a kit, in exchange for my thoughts. 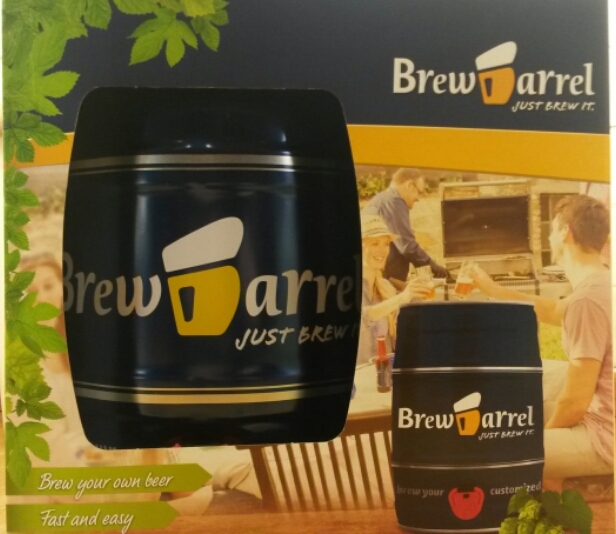 The kits cost £25 but the packaging is well presented and the instructions are clear and were true to their word when stating “preparing your Brewbarrel takes about 10 minutes”. 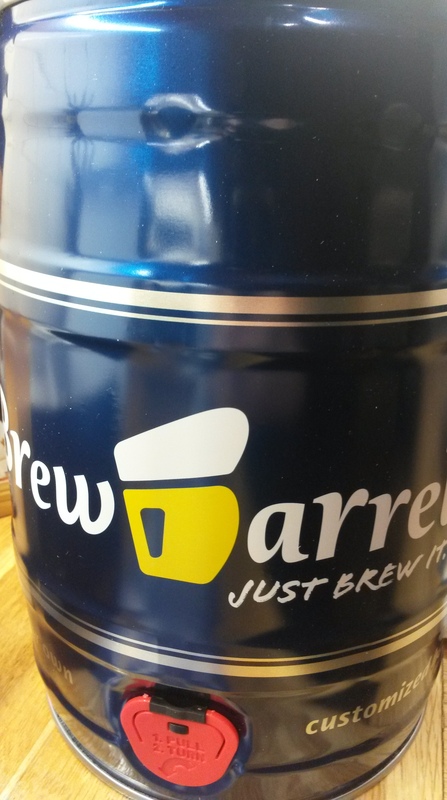 Brewbarrel offer”customised” beers to brew, with a choice of Pilsner, Lager, Wheat Beer, Pale Ale or Dark Beer. You can then choose a “hop profile” to your tastes with either “mild, standard or bitter”; before pimping your brew with one of “lemon, lime, grapefruit, mango, oak timber or bourbon timber”. I received the required; malt extract, hop oil, mango essence and dried “Hefe” yeast, to brew a Mango Pale Ale. Not sure of the % abv. The aromas from each of the ingredients were promising, and after following the simple instructions, the combination of the parts worked too. 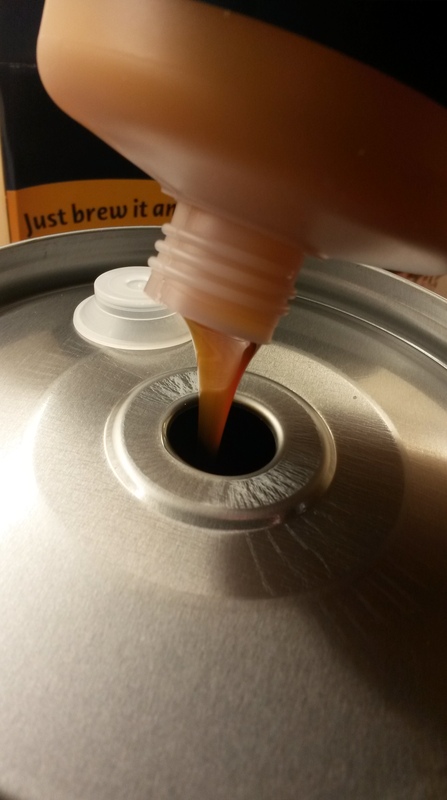 If you’ve brewed a beer kit from the large cans of malt extract before, then you’ll be familiar with the routine. 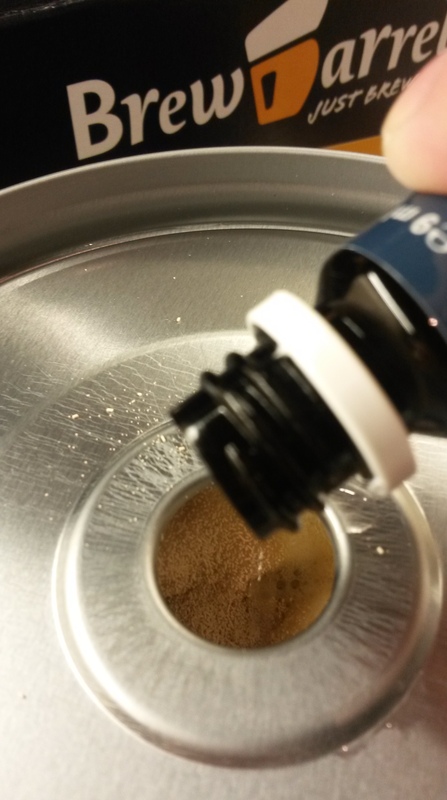 Add malt extract, then use boiling water to make sure all of the malt extract is removed from the bottle. Cold tap water is then added, before the hop oil, yeast and any other additions (recipe specific). 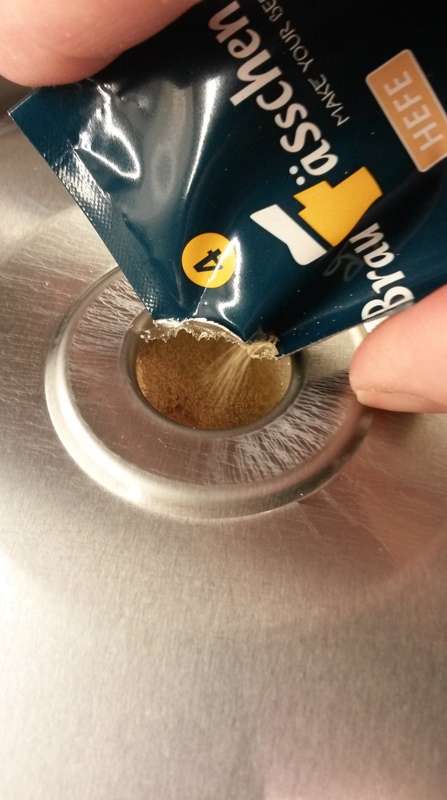 The yeast is a 4g sachet of Brewbarrel dried yeast. Everything is easily added without the use of a funnel (if you take your time, and have a steady hand!). 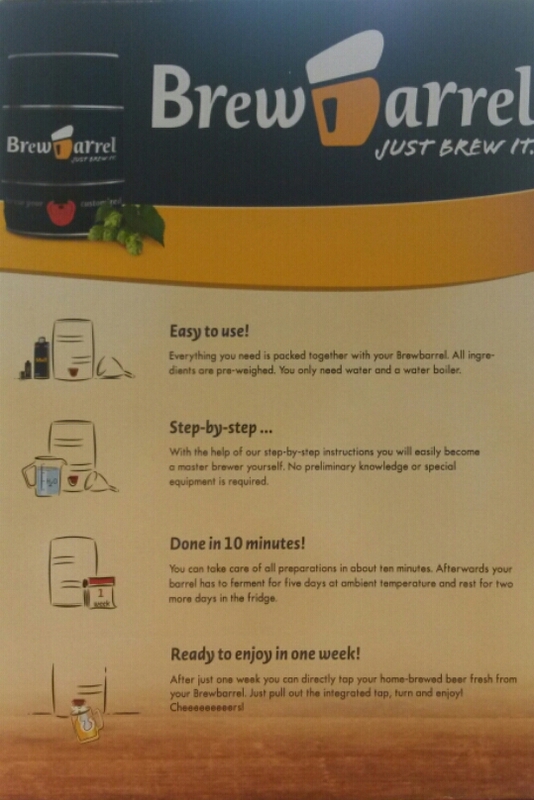 The instructions then take you through sealing the keg; returning to it after 24 hours to agitate it, before leaving for a 4 day fermentation. On the fifth day I’ll be putting the keg in the fridge to condition for a further 2 days. Simple and fun. All that’s left to do is to taste it in a week’s time. I’ll update this post with a thumbs up, or a thumbs down. Thanks to Jan for the kit, and you can find more information about the beer and the company on their site, and you can follow them on Twitter. Tried the beer today and I wasn’t a fan. If you like a floral (very) sweet beer then this may be for you. It was like a cordial based drink. It had carbonated, and needed a lot of venting before it was possible to pour. ← What Does Your Beer Say About You?